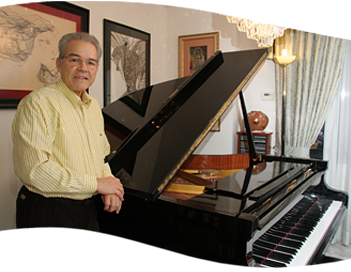 Cecilio Tieles Ferrer, born in Havana, August 5, 1942, is a pianist, pedagogue and researcher. From an early age he studied music under the direction of Arturo Marcelín. In 1952 he traveled to Paris, where he studied with Madeleine Berthelier, Joseph Benvenutti and Marcel Ciampi. In 1954, he returned to Havana where César Pérez Sentenat prepared him to enter the National Conservatory in Paris, which happened in 1957. From 1958-1966 he also studied with Samuel Feinberg, Lyudmila Roschina and Stanislav Neuhaus in the Tchaikovsky Conservatory in Moscow. He won several national and international medals and awards for his outstanding artistic achievement and teaching. Critics in numerous countries in Europe, Asia, Africa, Latin America and the US have recognized his artistic activity, characterized by its safe technique and musicality. He has participated as soloist in the Cuban Music Sessions (Jornadas de Música Cubana) (Havana), Festival of the Socialist Countries (Havana) and Festival of Contemporary Music (Havana), all these organized by the National Union of Writers and Artists of Cuba (Unión Nacional de Escritores y Artistas de Cuba-UNEAC). He also performed during the Bellavista Festival (organized by the painter Oswaldo Guayamasin in Quito, Ecuador), the Festival of Granada (Spain), the Festival del Grec, Barcelona (Spain), the Festival of Laureates "Katia Popova" (Bulgaria), and the Bratislava Festival, among others. His repertoire includes works by various composers, from the 16th to 21st century. He has performed as soloist or accompanied by symphony and chamber orchestras in different countries. He performed in Cuba for the first time in 1970 in the city of Santa Clara, playing the integral of the five Beethoven concertos. He has performed under the direction of Olaf Koch, Gunter Herbig, Enrique González Mántici, Manuel Duchesne Cuzán, Salvador Brotons, Ovidi Balam, among others. He has recorded for the Recordings and Musical Editions Company (EGREM); ACA and Columna Música, both in Spain. He was professor and Head of the Piano Department at the National School of Art (Escuela Nacional de Arte-ENA) from 1967-1980 and professor of the Higher Institute of Art (Instituto Superior de Arte-Universidad de las Artes - ISA) from 1977 to 1984. 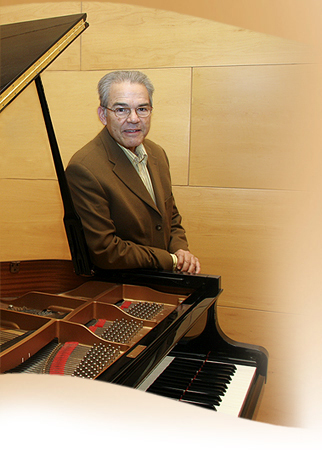 He participated in the reform of teaching piano in Cuba as National Advisor on Piano Teaching that took place in 1968. He was also National Advisor on Music Teaching for the Department of Art Education, Ministry of Culture. Important Cuban composers such as Alfredo Diez Nieto, Roberto Valera, Juan Piñera and Spanish Ramón Barce have dedicated works to him. 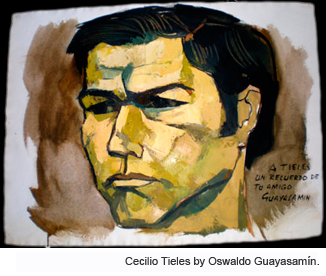 Evelio Tieles and Cecilio Tieles form the Duo Tieles, which has achieved critical acclaim. Prominent composers such as Ramón Barce, Xavier Benguerel, Harold Gramatges, José Ardévol, Nilo Rodriguez, Gottfried Glöckner, Salvador Pueyo and others have dedicated works to the Duo. In 1984 he moved to Spain, where he has engaged in intense artistic and educational work until now. In his pedagogical activity in Catalonia, Spain, his work as Head of Piano Department at the Conservatory in Vila-seca should be highlighted. He encouraged and introduced changes in curricula and programs on piano teaching, as freedom of choice of repertoire, internal auditions and competitions, control tasks, more student concerts, outstanding students having more class time, etc. making this institution one of the most pedagogically advanced in Catalonia and the one that has brought most students to the Higher Grade. This innovative work was recognized when he was appointed Professor Emeritus in 2007 by the Conservatory of Music of Vila-seca. His work as professor and Head of the Piano Area in the Conservatori Superior de Música del Liceu in Barcelona, from 1994 to 2002, carried the same significance because it meant a radical change in educational planning, curriculum and piano programs. These changes were governed by the same principles as mentioned above. All this took place before the promulgation of the Law on Education Reform and therefore allowed the conservatory to adapt easily to new legal conditions. Master classes at the University of Miami and Manhattan School of Music in New York, Conservatory of North Holland (the Nederlands) in Groningen, the Conservatory of Vigo, the Conservatory of La Coruña, Santiago de Compostela Conservatory, Conservatory of Orense (all these in Spain); as well as Andorra, Bolivia, Venezuela and Mexico. Recently, at the end of 2014, he has taught master classes at the Steinway Piano Gallery in Miami, Florida. He has been a jury member in international piano competitions such as Ciutat de Manresa (Spain), Xavier Montsalvatge Competition (Spain), Ernesto Lecuona Competition (Cuba), Ignacio Cervantes Competition (Cuba), III Iberoamerican Piano Competition "National School of Arts" Havana, International Festival of Latin American Music (Bolivia), International "Paul Badura-Skoda" Piano Competition (Spain), Ciutat de Berga Competition, International Piano Competition (Andorra), International Piano Competition "Cidade de Ferrol" (Spain). Many of his students have won prizes in different national, and international competitions. In 1998 he had Piccolo Virtuoso (The little virtuoso) published, piano exercises for elementary grade edited by DINSIC, Barcelona. He has had articles published in prestigious music magazines such as Ritmo (Spain), Ferrolanálisis (Spain), Revista de musicología (Spain), Muzyka (Russia). He was invited to write the article Nicolas Ruiz Espadero in the Diccionario de la música española e hispanoamericana (Dictionary of the Spanish and Latin American music). He was Director of the International Music Course in Vila-seca, one of the most prestigious and oldest of Catalonia, during the years 1994 to 2011. He founded, along with other artists, in 1995 Associació Cultural Catalana-Iberoamericana (Catalonian- Iberoamerican Cultural Association), which he continues to chair. Since then he regularly organizes the Festival of Catalonian and Iberoamerican Music in Tarragona, which is a platform to disseminate the music of Latin American countries. This experience was repeated in collaboration with the UNEAC in Havana. In 1999 the outstanding singer Anna Ricci invited him to be vice-chairman of the Associació Catalana d’Intèrprets de Música Clàssica (ACIMC) (Catalan Association of Performers of classical Music). Later, upon the decease of the singer, he was elected president (2001-2010) and later became its treasurer (2010-2014).